Police are investigating the murder of a prominent Muslim cleric in the Russian republic of North Ossetia. The local religious leader’s deputy was shot six times, including a ‘proof round’ to the head. 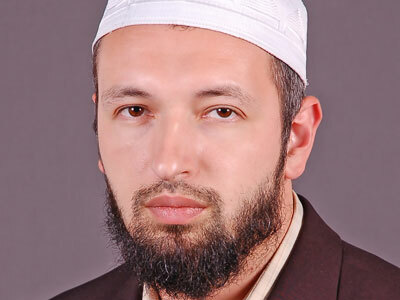 Thirty-four year-old Ibragim Dudarov, who had been serving as a deputy mufti for five years, was found dead Wednesday night on the outskirts of the republic's capital of Vladikavkaz. Investigators found five gunshot wounds to his body and one in his head, according to law enforcement agencies. “Apparently, he stopped his car for his killers. The vehicle with the victim remained there until it was noticed by passers-by,” said Mufti of North Ossetia Khadzhimurat Gatsalov. Dudarov lived in the village of Chmi near Vladikavkaz with his wife and four children, the youngest being just one month old. The region's top Islamic official Khadzhimurat Gatsalov suggested the crime was committed by enemies of traditional Islam, which is taking a stand against extremism and calls for education. "Someone doesn't want this kind of Islam in North Ossetia," the region's top Islamic official said. The head of Mufti Council in Russia, Sheikh Ravil Gainutdin, said that the crime indicates that enemies of Islam “do not want peace” in North Ossetia or in other countries. “Despite this lowdown murder, we assure Muslims of our country that we will not turn off the path of education and advocacy of monotheism, good-neighbor policy and spread of knowledge,” he said. Among the top clerics of North Ossetia Dudarov was the only one with a higher education, after graduating from the prestigious Islamic Medical School in Saudi Arabia. He also had a diploma from Islamic University and served as imam in a local mosque. The local Muslim community has stressed that it is the first time republic’s Muslim leader has been killed. 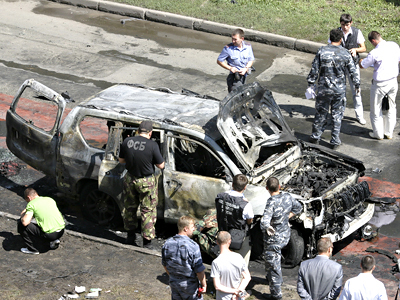 Religious killings in Russia have lately become frequent. One of the most significant murders happed in August, when Muslim leader of the Russian Republic of Dagestan Sheikh Said Afandi was assassinated in his home, after a suicide bomber set off an explosive device. Seventy-four-year-old Afandi, a well-known Sufi cleric, was considered one of the republic's top spiritual leaders.